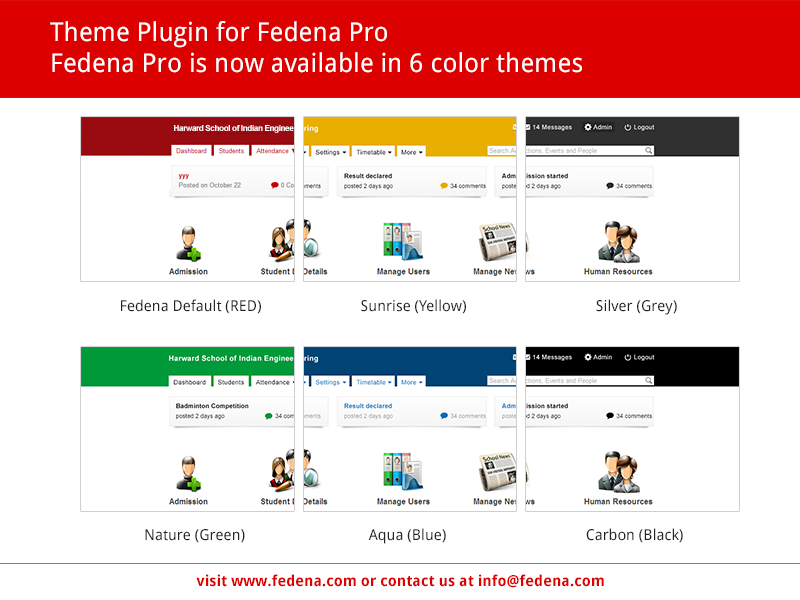 Due to popular demand from the users and partners, we have developed a new “theme plugin” for Fedena Pro which allows you to switch the default color of Fedena to any color of your choice. This theme includes six basic colors by default. But giving support to new color themes is very easy. 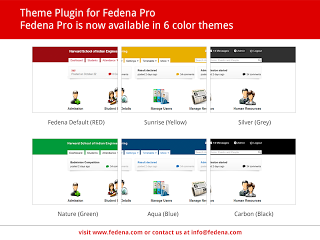 It will be maximum a 10 minute work in Photoshop and notepad (CSS) to make Fedena switch to any color or pattern of your choice.